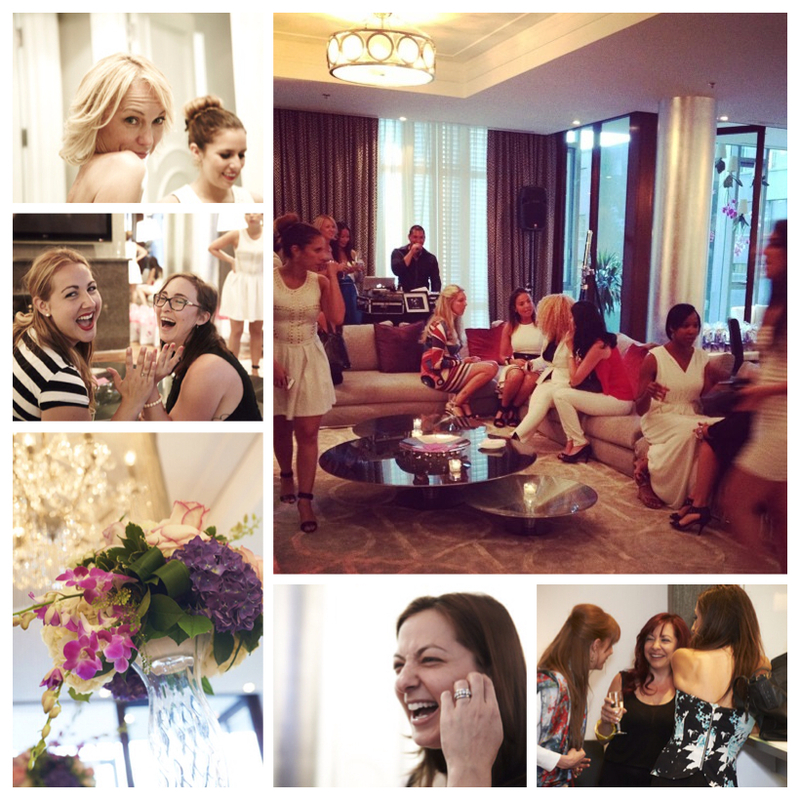 To celebrate our one year anniversary, The WowMom hosted a special private event at the prestigious The Residences at Ritz Carlton Montreal on July 10th, 2014. 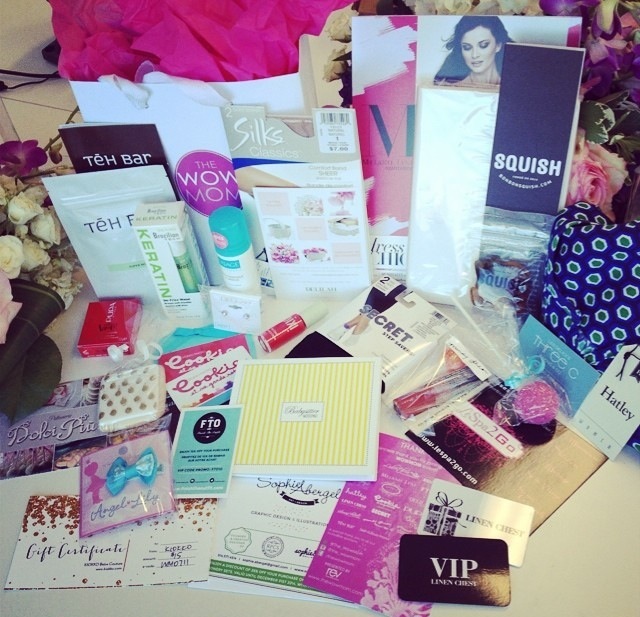 We celebrated with some of our most favourite WowMoms, mommy media and bloggers. 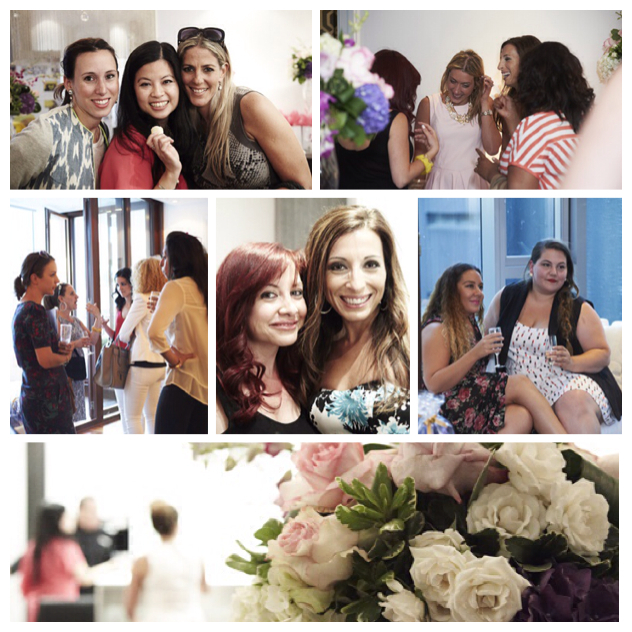 It was a fabulous evening filled with pampering and special treats for our VIP mommies. Upon entering the opulent Residence, each mommy guest was treated to a VIP photo shoot courtesy of fabulous mompreneur and professional photography studio, Cookie Photo. Smiles lit up as the camera flashed away, capturing the WowMoms having fun, making silly faces or simply looking fabulous. 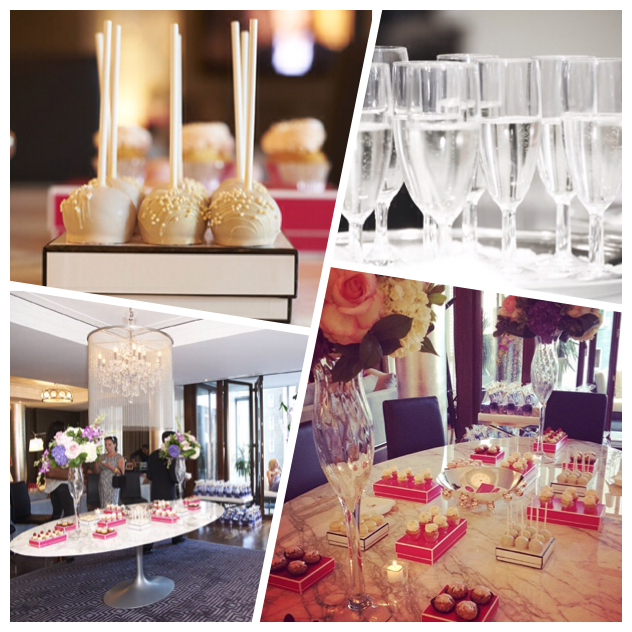 With a welcoming bubbly in hand, the mommies savoured the renowned Ritz Carlton’s sumptuous canapés. For those with a sweet tooth, decadent desserts from Dolci Piu filled a sweet table to remember. Beautiful floral creations from Luluthia adorned the premise with fresh colourful blooms, while the DJ spun upbeat tunes to keep the ambiance on a high. 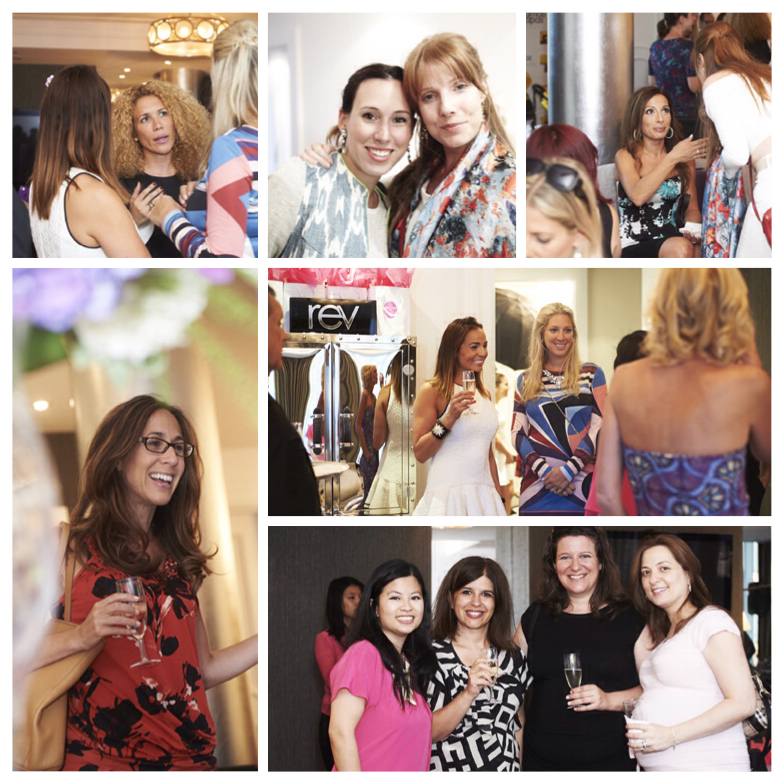 In addition to mingling and making new friends, the mommies followed a rose petal strewn path to indulge in a deluxe pampering suite. LeSpa2Go pampered guests with manicures & chair massages for perfect relaxation! As an extra treat, some of our dear corporate friends supplied the most fabulous gifts for the ultimate raffle and goodie bags. There was everything from jewelry, beauty & bodycare products, clothing and gift cards, to sweets, leather purses, rainboots and even a stroller! 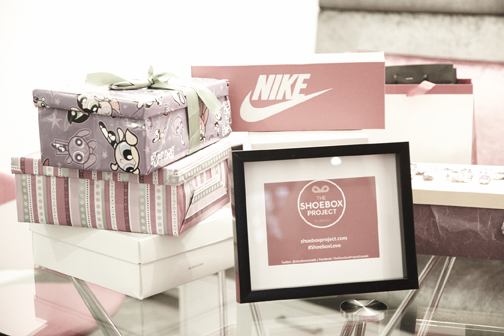 As a proud supporter of The Shoebox Project, The WowMom welcomed shoebox donations at this special event. We were genuinely touched by the heartfelt and supportive messages included in some of the shoeboxes. It was definitely a special night of sharing mommy tales, advice and lots of laughs. 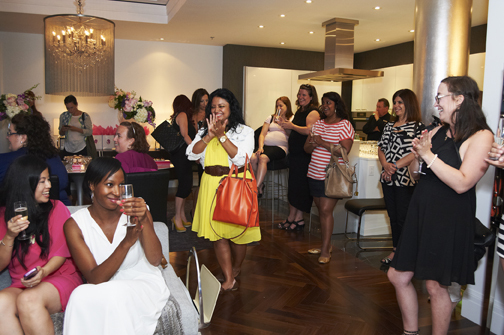 Thank you to all the WowMommies that came out to celebrate. Here’s to turning one!! !